IWOC members represent a wide range of communications expertise—from advertising, marketing, and public relations to healthcare, journalism, and writing for the Web. And their specialties run the gamut from annual reports and brochures to manuals and training materials. 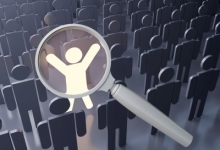 To help employers find the writers best suited to their needs, we are pleased to provide a searchable database of our member profiles. You can browse the database by member name or use a "simple" or "advanced" search to list only those writers whose skills match your needs. (For a complete list of 'Expertises' and 'Specialties' listings in our database, click here to download our handy PDF file.) To display the profile for any listed member, simply click her or his name. And if you have any questions about this or any other aspect of finding a writer for your assignment, please contact us and let us help.